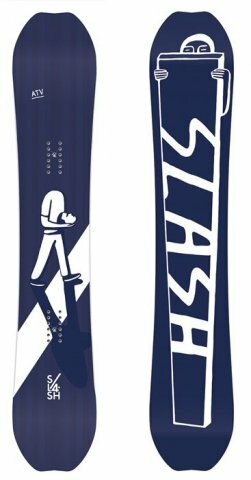 The Slash ATV a lean mean carving n jumping machine but that comes at a price of being forgiving or floating easy in powder. If you are an old school full on camber rider that knows how to make the challenging side of full camber work then the Slash ATV might be a good call. The shape, sidecut and camber profile feel the same as the older model I own but the flex feels a bit more uneven snow friendly and a little more dynamic. Conditions: Pretty good mid-season groomers. The Slash ATV is a seriously cambered directional twin with a set back stance for those that still like the technical poppy feel of camber compared to the hybrid and rocker shapes out there today. The ATV isn’t for everyone but it’s one of those boards that a technical rider who loves the spring of camber in a carve will really appreciate. 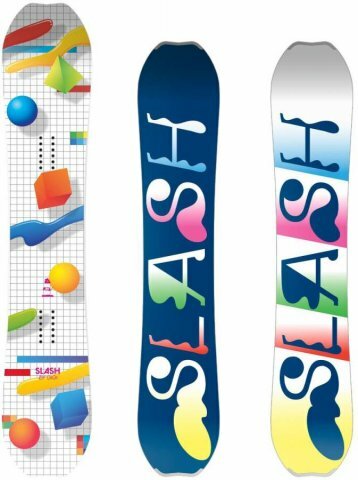 To me it’s like they took the Burton Custom X, and made it into a directional twin with better edge hold. It would be fun to ride the ATV on Groomers and then have the Straight for Powder days. The 2016 and 2015 Slash ATV is pretty similar to the 2014 except the core might be slightly stiffer. Other than that the ride is almost un-noticeably different. Negitives: Not super easy for a set back board in powder and is catchy if you aren’t always on your game. Conditions: Perfect Groomed runs that lead into a semi messy day that had some hard snow in places. There were some hard patches here and there but it was mostly a great day to ride. On Snow Feel: The Slash ATV‘s traditional camber shape was quite refreshing. It’s been a while since both of us have felt such un-restrained camber let free in a board. It’s a pretty aggressive med/stiff flex but all that camber and pop make the board feel more catchy/aggressive than you would think. Your edges are really locked in. I haven’t had that much fun carving for a while. It reminded me of a fun looking Custom X put into a directional twin shape. It’s technical and aggressive but it’s super fun to carve up groomers all over the mountain. You can feel that the ATV has a lot of consequence if you aren’t on your game it could lead to catching an edge. 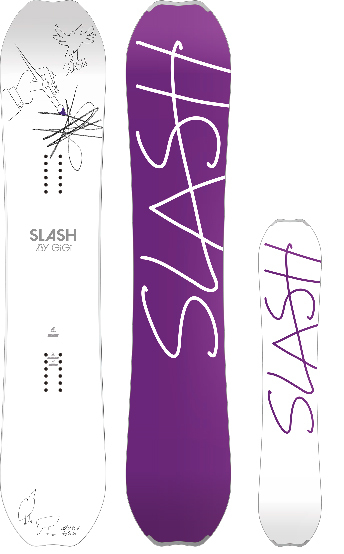 Powder: No powder here but the rather pronounced camber will make this a lot more work than the hybrid shapes out there. The -20mm set back makes it better than average but it’s still an entirely different kind of ride all together compared to the shapes that have some rocker in it. Turn Initiation- It’s quick to turn edge to edge if you are an expert and possibly an advanced rider but it’s not for those that skid their turns. It takes some work but it responds if you turn it right. Wider radius turns are really fun and springy here too. Carving– I haven’t felt like this in a carve for a while and it really is fun here. It’s got a really good spring out of any turn and especially a carve. It’s really fun laying it out as hard as you can and in many ways it feels like a lower budget Custom X re-shaped into a directional twin. The fun part about this is the ability to center up the stance and carve switch too. Speed: It has a pretty fast base and a very chatter free ride. It’s right on the bottom side of excellent and the top side of great. The base wasn’t waxed but with a good wax job it you can tell it would have a nice glide. Uneven Terrain: The more mediumish flex really does well for a board of this type and doesn’t pass too much shock back into your body. It’s not bad weaving in and out of the bumps and not bad shielding your body from shock. Edge Hold: The Ultimate Traction side cut grips really well and held really well even when I laid into a carve in harder snow. This was not ice tested but I think by the way it gripped harder Sierra snow it should be almost as good or as good as some of the hybrid camber magnetraction boards. What is even better is it didn’t’ feel like it was grabbing softer snow too hard. So it’s the kind of board that is probably pretty good in icy snow but it also doesn’t overly grab in soft snow which is about as much as you can ask for from a board. Flex: Pretty much on the Medium stiff. It felt firm but springy. It wasn’t much of a butter or press kind of board and it’s all about edge to edge transitioning. Sure if you are a strong rider you can get a little action out of the tip and tail but this doesn’t like to bend too much tip to tail for playing around. Switch: It wasn’t perfect switch but it was pretty close all centered up. I think the only difference is the flex in the tip and tail but it’s really not a butter board so for most this will be perfect either way if you center your stance. Jibbing- didn’t jib or want to jib with this thing. Jumps: Very aggressive poppy feel to it. It can really spring on an ollie but it felt like you need to be perfect when you do so you land well. Someone who rips in a technical kind of way can spin this board and love it but if you aren’t a ripper its much more challenging to pull off spins. All in all this is a very fun and impressive camber board that offers up the kind of old school hard carving, springy turning kind of ride that makes for happy riders. It’s only real drawback is powder riding. If you have a dedicated pow board and this kind of ride appeals to you then I wouldn’t hesitate. We try to get as many images of the Slash ATV, but forgive us if they're not all there. I just got the board last week. Super quick edge-to-edge. My local hill only takes 20 seconds to get down, so I really didn't have a chance to try deep carving with it. I did, however, spend most of my time in the park and can say it has phenomenal pop off of jumps. I actually thought that the landing platform felt extremely stable (granted I'm coming up from a 152, so maybe that's just the extra surface area that I wasn't used to). I did NOT try any spins, however, so I can just speak to the general level of pop and not landing a spin. It did feel pretty stable at speed as well. Really looking forward to getting back on it more! 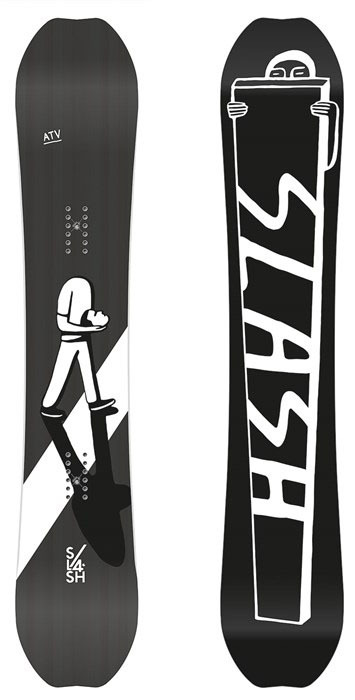 If you want a Full camber board with excellent carving and massive pup, the slash atv is The No 1 board. 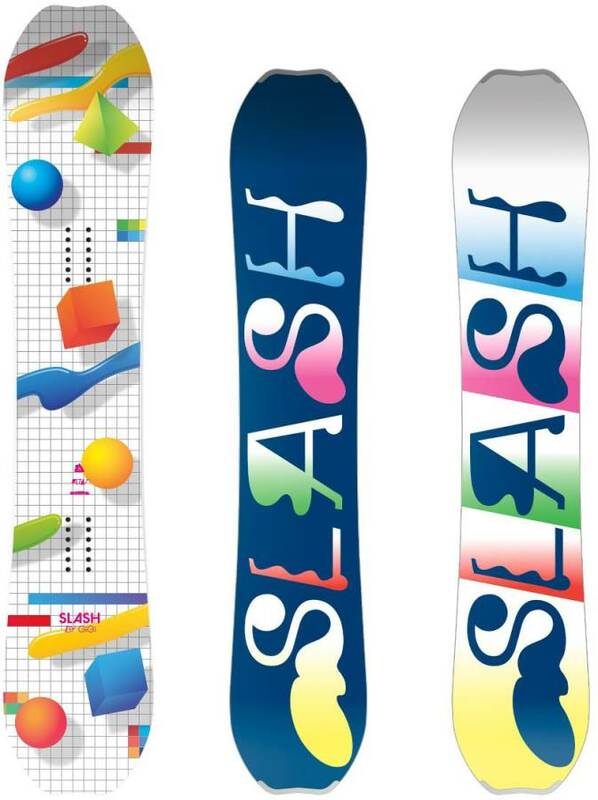 I think it’s beter than my old major brand snowboard. For riders who love to carve off groomed hips, it is perfect. Don't butter in your spin, carve-n-pop it! After all the shape mumbojumbo on the market, i was so happy to find this straightup camber board. Love the techy look with the stringers visible, love the subtle traction (a little straight edge, where the boards bends the most), love the non-tipping tips, and love the sintered base. However i do have a little worrie about the build quality. The tiny inktspill on top and small blemishes i found on mine (and the damn papersticker they used i had to wash off!) i can live with, but on the base i could feel a rough machined spot. That i hate. I want the base to be perfect out the wrap. Keep it together Tunisia dudes! Your making an awesome board. This really is a perfect board. I have ridden true camber for the last 18 years and have dabbled in the reverse, rocker-ery-do, hybridized blends. They just cannot compare to the way a true camber performs. This board is so solid. This board is so stable at high speeds and takes any side hit, mogul launch, stump jump roller jump, off ramp jump, ditch slashing, and probably a park jump (who rides park these days anyways? haha) like a champion. I rode it in a 14" deep day the other day and it was just okay, but lets be honest...about 90% of 'resort' riding is not a full on powder day. 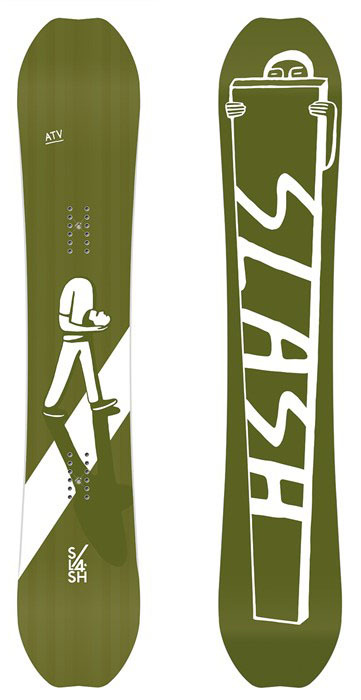 Get this board and remember what its like to have fun on a snowboard.!!!!!!! I typically never take the time to post reviews, but this board is amazing. All Terrain Vehicle... that's exactly what it is. I've got a big quiver, but if I had to choose one board to ride all year in all conditions this would be it. After riding some hybrid shapes in recent years, it's so refreshing to just charge on a full camber board. The sidecut is so fun, and true to it's name, this board wants to Slash at every possible opportunity. The flex is perfect for my style of riding... stiff enough to feel stable at high speed yet playful enough to enjoy park runs. 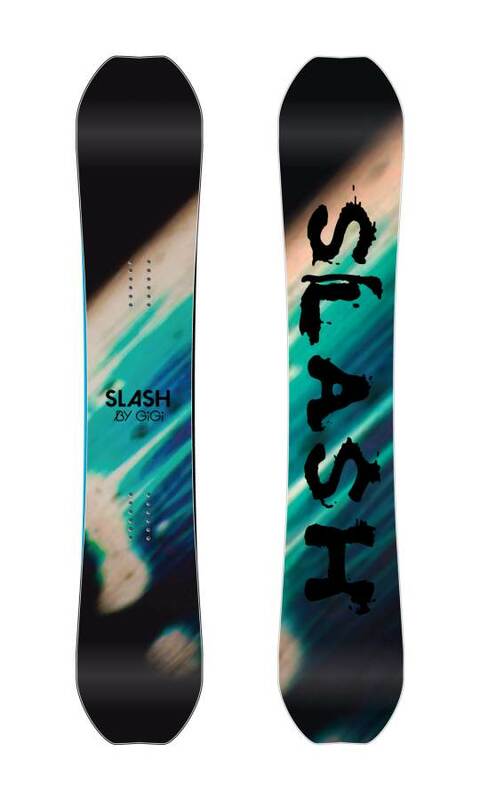 I wouldn't jib much on this board and have yet to ride it in deep pow, obviously it would not be ideal in those applications, but if you want one board to rule them all, this is it. If you're familiar with Gigi and his riding, it's obvious after riding it that this board is his baby. I am usually hesitant to buy a board from a new company, but the combo of Gigi and Nidecker can't be beat. All the materials are top notch and I'm stoked to support Gigi... one of the most creative riders of all time and a super nice guy to boot! Amazing board with an amazing flex. Niedecker makes wonderfull boards that is hard to match for other companies just awsome shape. Reaktive flex is a great thing The shape is killing it and the product quality is not from this world. Have a smaller jib board with a loose rocker feel and your quiver is perfect. One serious but fun well performing all mountain machine and a more laid back softer palyboard like for example burton nug or a rome artifact or a forum scallywag.